Ready for a home design refresh but not sure where to begin? Whether you’re struggling to connect your design ideas or having a full blown home design identity crisis, here are 5 tips from interior designer Jason Oliver Nixon of Madcap Cottage to help you find your own unique look and own it. Before switching things up, think seriously about how you use each and every space. Do you have kids? Pets? A messy husband? Your lifestyle will impact everything from color choice to fabrics, to your furniture’s functionality. Next, shop your own home and consider what pieces, colors or patterns in your existing layout bring you joy. Shift them around your house and start your refresh by adding items that complement your joyful choices. The key to your home décor style, is already in your home—you can find it in your clothing, shoes and accessories. As you sift through your garments, do you see a pattern? Maybe you love blues, with gray and yellow accents here and there? Think about what vibes your clothing gives off—boho, preppy, playful? These are all great indicators of what your personal style is and will translate well to your home decor. Pick 5 of your favorite colors or prints from your wardrobe and go from there. In 2019, the emphasis on all-things-minimalist will be well…minimal. 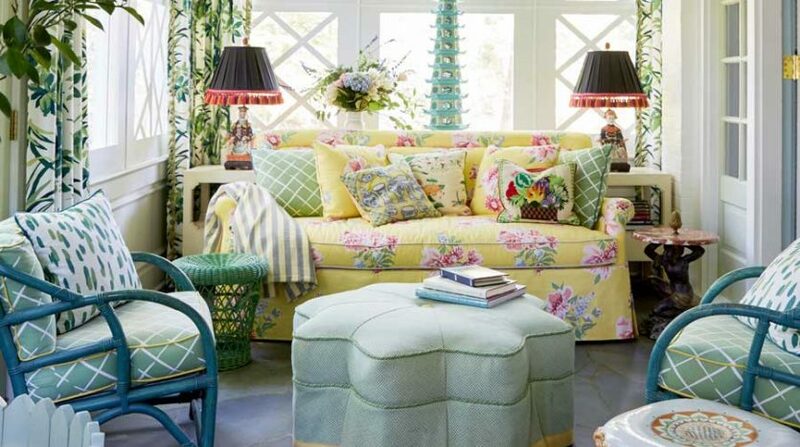 Maximalist is the new wave of must-try home décor and it’s perfect for testing out new ideas. Love the toile chair from your mother-in-law’s living room? Pair it with a contemporary couch. Blending all of the items you like together can work and is the easiest way to claim your own original look. Worried about overwhelming a space? Start with your smallest room and work from there. Anything on a small scale feels manageable and bold designs can break up architecture, making a space look bigger. Always be on the lookout for items that pique your interest. If you’re on vacation and discover a painting you love, pick it up. Uncover a great flea market find? Put it to new use. This goes for inherited items as well. Nothing tells you and your home’s history quite like items passed down from generations. Another easy way to create special memorable moments in your home? Build a gallery wall showcasing family photos, your kids’ drawings and art that you love. It gives your guests the perfect glimpse into your life and how much you love your living space. It’s your home, there are no right or wrong answers when it comes to your design eye. Find what speaks to you and run with it. Be creative with color by infusing it in unconventional ways—like through houseplants. They can literally breathe new life into a room. 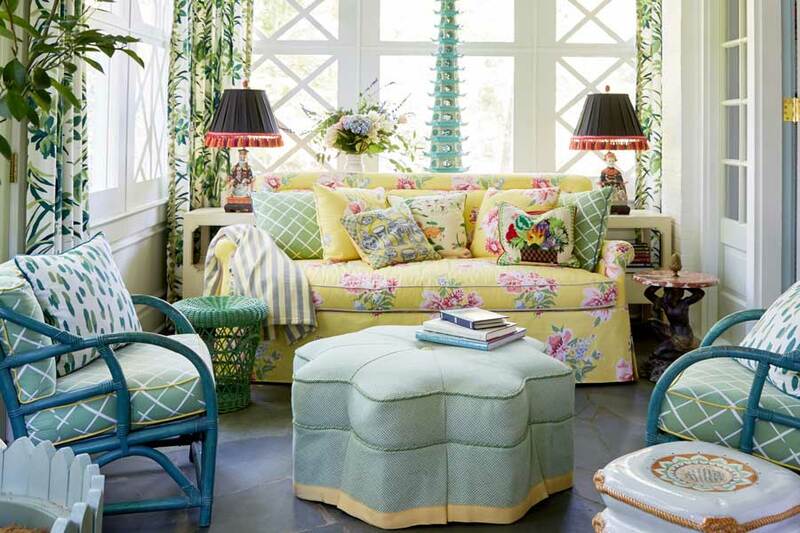 If you’re uneasy about infusing bold hues or florals into your home, start small, with the rule of three. Choose one color and have it appear in three different places throughout a space. (Ex. pops of orange on a lacquer tray, a lampshade, or even your artwork’s matting). It adds interest but keeps a balanced and cohesive look and feel. Most importantly—have fun! Jason Oliver Nixon will be speaking more about honing your design eye at the Philly Home & Garden Show on Friday, February 15th at 6p.m. or Saturday, February 16th at 1p.m. and 4p.m. Original article by The Philly Home & Garden Show for Philadelphia Magazine. Photo by Madcap Cottage.